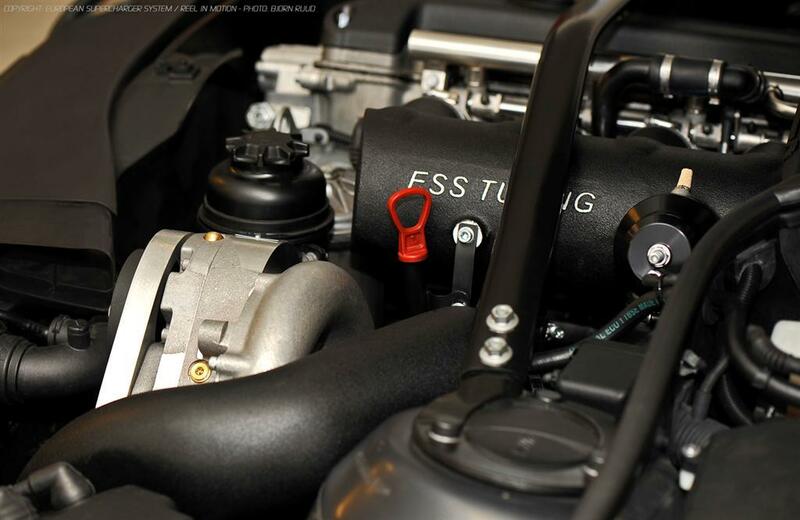 ESS Tuning supercharger system for performance enhancement of BMW S54B32HP engines in BMW E46 M3 CSL (2003 - 2004) cars. 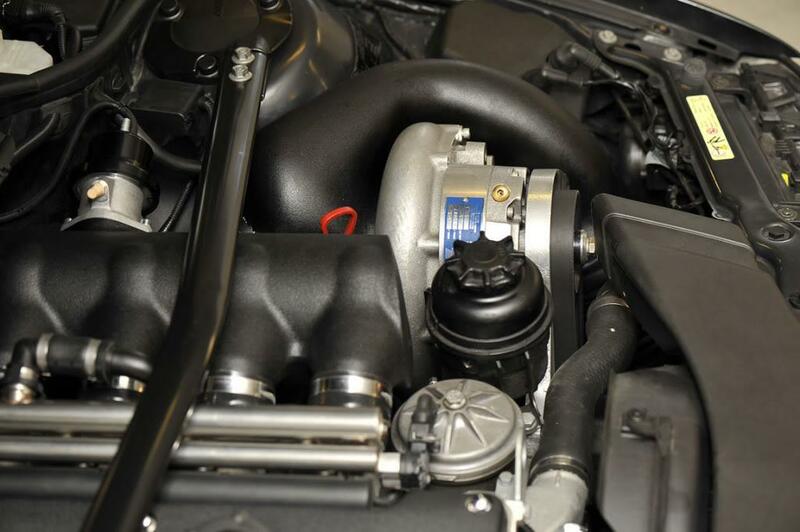 The intercooled ESS Tuning BMW E46 M3 CSL - S54 - VT2-500 supercharger system comes with an extremly effecient design and perfectly tuned software. It delivers supercar performance along with the quality and reliability ESS customers have come to expect. This kit is designed as a 100% bolt on package with no irreversible custom fabrication to the vehicle. 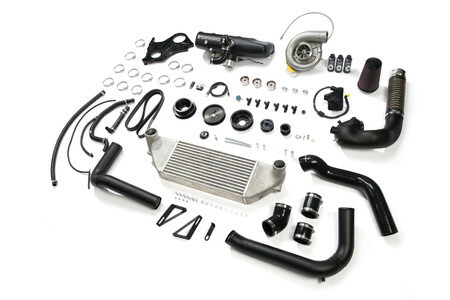 The system is based upon Vortech's efficient and reliable gear driven and self contained V3 supercharger. 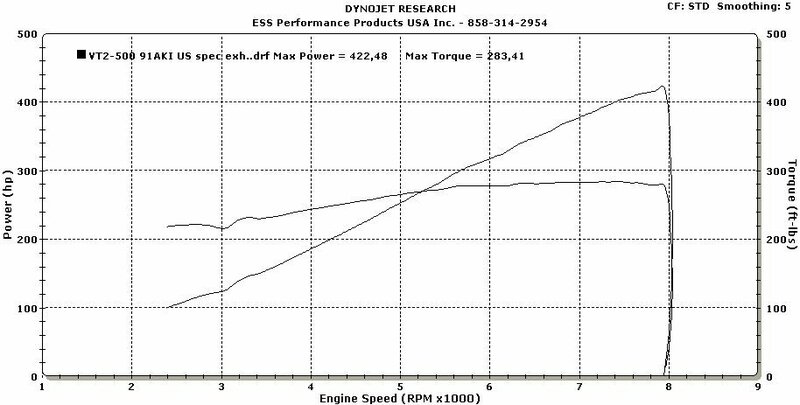 The system includes the specific ESS engine software that is perfectly calibrated for the supercharged engine. The dyno limiter and top speed governors are also removed. Power delivery is 100% smooth and OEM-caliber. The car behaves just like stock until you demand power, then the car completely transform providing brutal acceleration normally reserved for pure race cars. one belt driven w/self tension system.